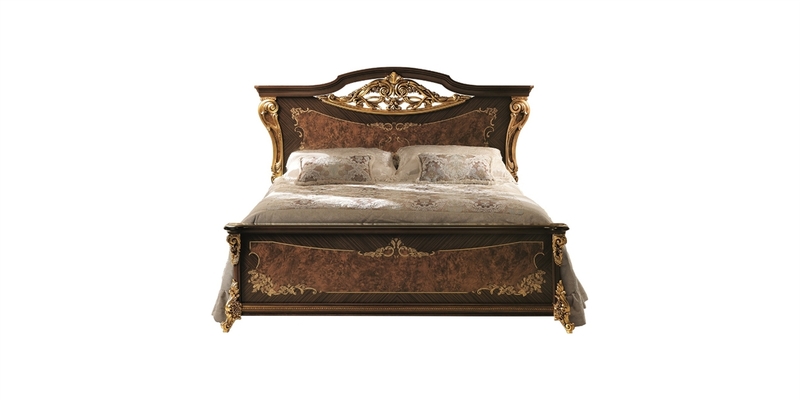 Gilding, crafted curves and inserts which recall precious woodwork are the masters of the compositional scheme of the beds from the Sinfonia collection. An important central mount is fitted within interwoven wooden frames in perfect aesthetic balance with a headboard designed with silk-screened surfaces of walnut tones. Lateral gilding appears in the form of reliefs on the supports in line with the Baroque touches of the collection.